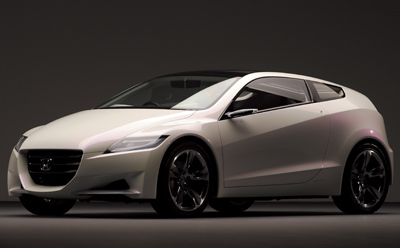 The Honda CR-Z (Compact Renaissance Zero) was unveiled at the 2007 Tokyo Motor Show. 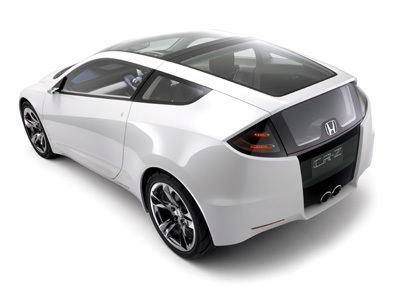 The Honda CR-Z is a research vehicle for an environmentally friendly, lightweight hybrid sports car. The CR-Z was designed to be, as Honda put it, "Futuristic and Dynamic," combining performance in a compact layout with futuristic styling. 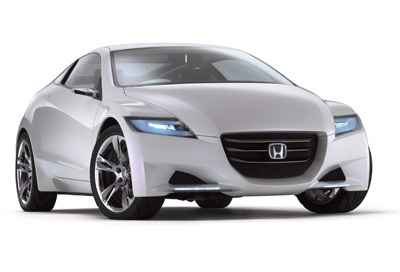 The exterior design of the Honda CR-Z begins with a large central grill flanked by chiseled LED headlights. Minuscule door mirrors double as side indicators. Then, starting off from the rear of the front arches, a style line rises up, running high over the rear arches and joining into the taillights. The taillights then blend into the lower rear window panel. This double rear window layout is similar to the design of the rear end of the 1980's CR-X, and when the name is taken into consideration it's not hard to deduce that the CR-Z is the spiritual successor to the CR-X. 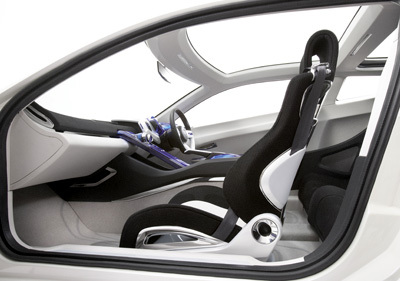 The interior of the Honda CR-Z concept is stylish and airy. The goal of Honda's designers was to create an all-new sporty interior that fused the feeling of spaciousness with a layout that enhances driving. A mesh material laid over a simple framework is used throughout the interior to convey a light, sophisticated image without being oppressive. On the 13th July 2009 Honda confirmed that the CR-Z would enter production as a 2010 model equipped with a hybrid drivetrain.